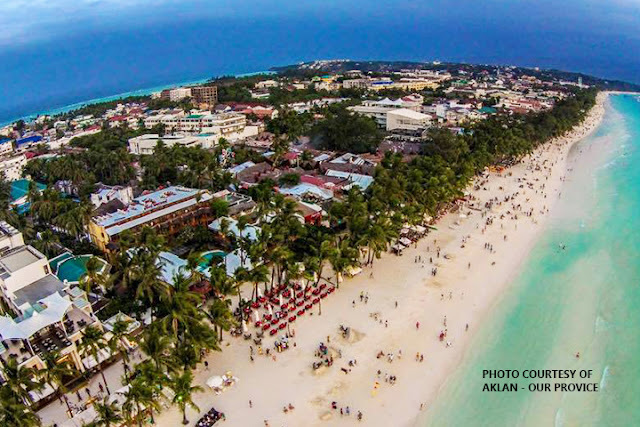 MANILA -- As the six-month closure-rehabilitation of the top tourist destination has come to a homestretch, government preparations for the reopening of Boracay Island in October are in full blast. The Boracay Inter-Agency Task Force (BIATF) plans to hold a dry run for the island's target Oct. 26 reopening from Oct. 15 to 25. "Operation of the one-stop shop for requirements has been extended from Aug. 25 to Sept. 7 to allow establishments to comply with requirements," BIATF added in a statement released Thursday. On April 26 this year, government started Boracay Island's half-a-year closure to tourists to hasten cleanup and rehabilitation of the world-famous beach resort. The BIATF is spearheading thw rehabilitation work to save Boracay from further environmental degradation. Water pollution, encroachment, and solid waste accumulation are among environmental problems hounding Boracay then, the task force said. "Carrying capacity of the island had been breached, leading to generation of too much waste and deterioration of water quality, among others," it added. of the Philippines in Los Baños, Laguna consucted a study on Boracay's carrying capacity, finding out what the area can support without experiencing environmental degradation. Results of the study are expected to help the BIATF develop policies that will ensure the rehabilitation efforts in the island will be sustained. According to the BIATF, the reopening dry run will be open to local tourists, giving priority to the Aklanons or the natives of Aklan province, where Boracay is located. The task force said the dry run will enable it to assess what else must be done before the government reopens Boracay to domestic and foreign tourists. It said the Department of Tourism will give the final approval on the requirements the establishments in the island must comply with.